The Chevrolet Aveo is an all-new subcompact available as a four-door sedan or five-door hatchback. It's based on a globally popular model called the Kalos built by Korean carmaker Daewoo. New to Chevrolet's 2004 lineup, the Aveo will complement the upcoming Chevy Cobalt, a premium small car planned to replace the Cavalier. 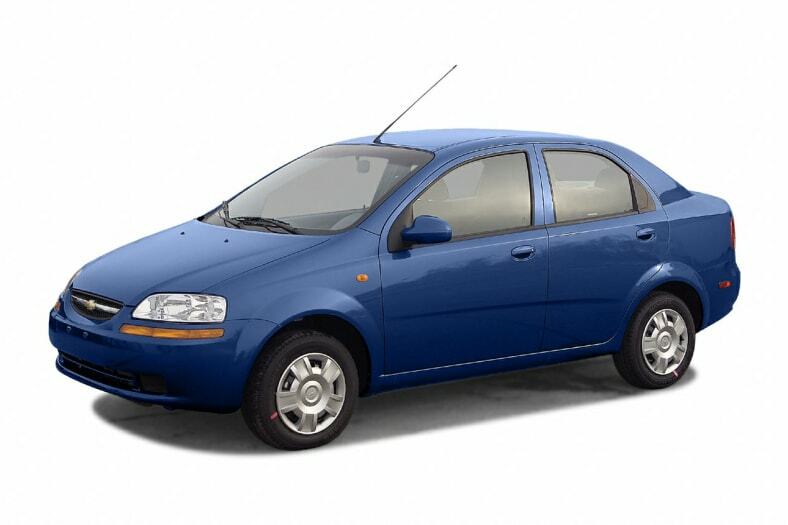 Aveo uses a proven GM 1.6-liter double-overhead-camshaft engine and comes standard with a five-speed gearbox. It's out to challenge the Toyota Echo, Scion xA, Kia Rio, and Hyundai Accent. The Echo and Scion are higher priced, however, leaving the ten-grand cars to the Koreans. The basic models are basic, but the interiors are better than you'd expect, the front seats are comfortable and the back seats are surprisingly roomy. The Aveo looks good, particularly the sedan, and the body panels fit well. It delivers zippy performance, sharp steering and a decent ride. All of this makes the Chevy Aveo an attractive alternative to a used car.